A few weeks ago our sister company released a “Remote Exchange” feature for itrezzo UCM. The feature will sync contact folders between two different Exchange Organizations. This feature will also work to read contacts from an Office 365 Public Folder or shared mailbox and use it as a source to a contact list. 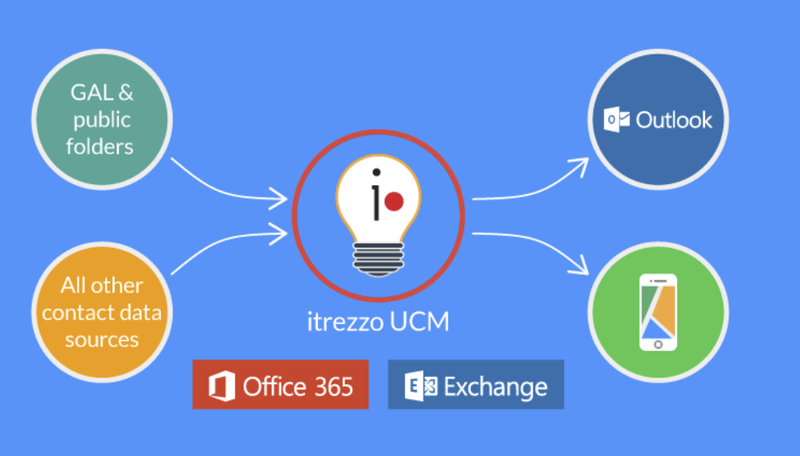 If you need help setting up a contact connector betweek Exchange on premise and Office 365, please contact itrezzo Support for assistance.